A few nights ago, we noticed this apparition as we sat on our deck. 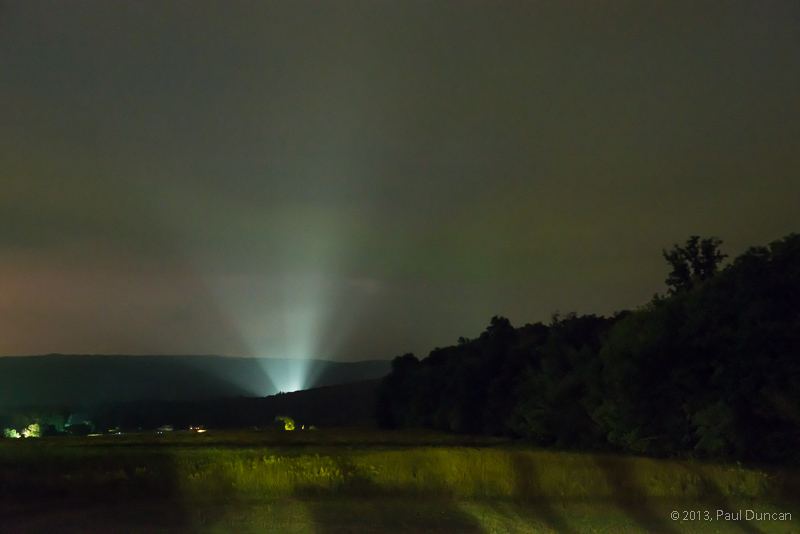 This light, emanating from the valley to our east, was perplexing. Was it a UFO landing? Some secret government project gone horribly wrong? A signal to Terrorists™ to commence their diabolical plan against West Danby? It certainly couldn’t have been the headlights of a car heading up Bower Road–that’s just what the secret U.N. mind-control police would want you to believe. Copyright © 2018, Paul Duncan. All rights reserved.